He noted that since Melaye’s appeal against the Sept. 11 judgment of the court had been entered at the Appellate court; all pending applications should be taken there. The motion was filed following the alleged refusal of the embattled senator to accept service of the petition and other accompanying documents as earlier ordered by the court on Sept. 11. INEC’s counsel, in the course of the proceedings, withdrew the motion after the judge raised some questions about the propriety of the ex-parte motion filed after the court had finally disposed of the case by delivering judgment on Sept. 11. 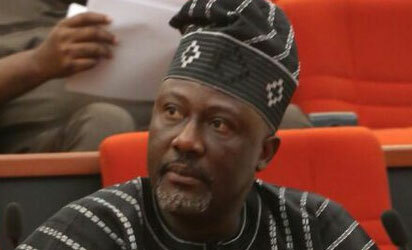 The News Agency of Nigeria (NAN) reports that Justice Dimgba had in his judgment delivered on Sept. 11, dismissed Melaye’s suit challenging the validity of the recall process.